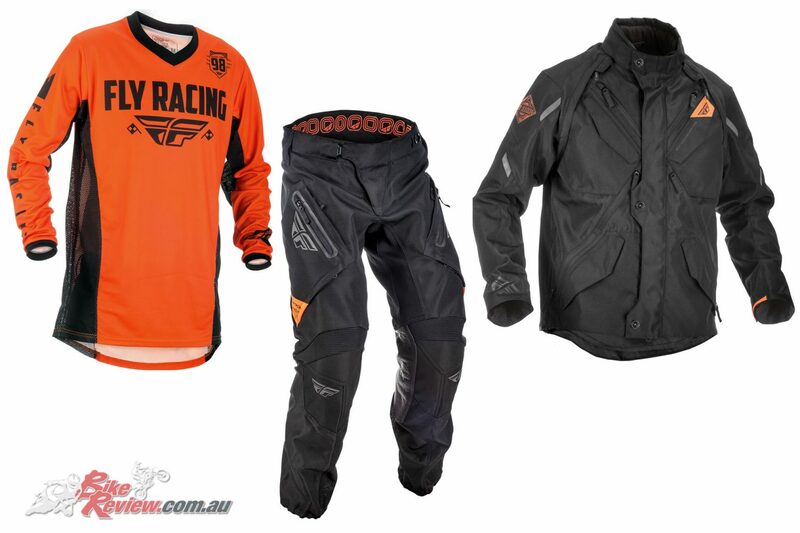 Fly Racing have announced the Patrol Off-Road Riding Gear, which comes in a jersey, pants and jackets, offering a great set of kit for a range of off-road riding conditions. The Fly Racing Patrol pants feature ultra-durable multi-panel 900D construction, multi-stretch panels and ventilated comfort mesh liner that helps keep you comfortable and cool, as well as reflective tape and florescent orange accent panels for increased visibility. 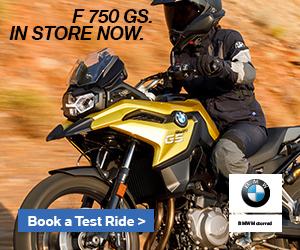 Leather heat shield panels located on the inside of each leg help keep heat from the engine and exhaust off the rider, while six large zippered vents strategically located on the front and back of the upper leg. 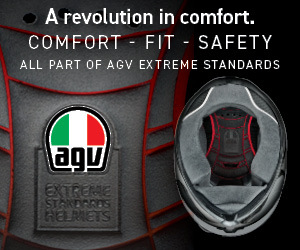 Plus, the knee zips can be opened for additional airflow . Two zippered pockets are padded and there’s also a internal pocket located inside the waistband. Ensuring a great fit is a full-floating seat surrounded by stretch-rib material is designed to move with you, and ergonomically pre-shaped and fully vented knees generously contoured to accommodate some knee braces and guards. The exclusive zipper lock system ensures a secure fit, alongside a ratcheting Fly Racing closure allowing for adjustability, and oversized Velcro side waist adjusters. 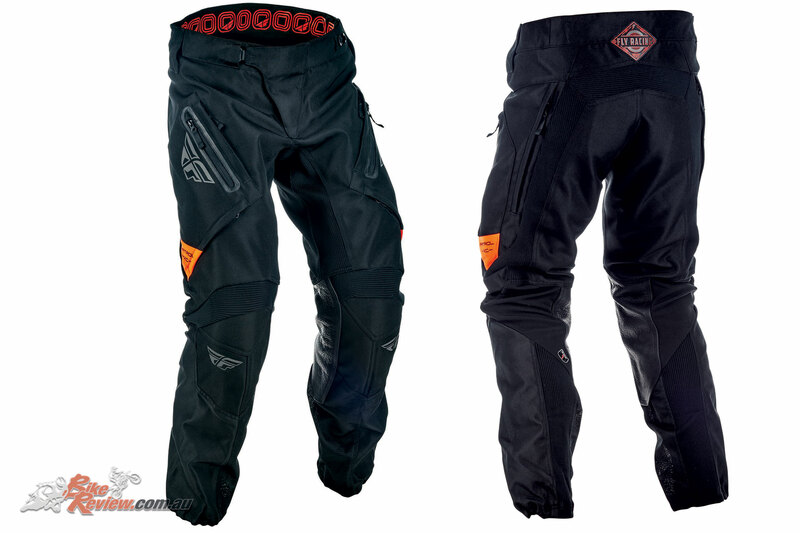 The Fly Racing Patrol Pants are available for $199.95 RRP. The Fly Racing Patrol Jersey is a standard fit jersey featuring mesh ventilation panels and reflective bonded material in specific areas for visibility and strength, not to mention a low profile stretch collar, and open zero-cuffs with stretch gussets. Ultra-durable reinforcement sleeve panels provide excellent abrasion-resistance, while the multi-panel construction offers maximum performance and a comfortable fit. Seamless armpit panel helps prevent chafing over long rider periods, and an extended tail keeps jersey tucked in. Long-lasting sublimated detailed graphics ensure the gear stays in tip top looking condition as long as possible. 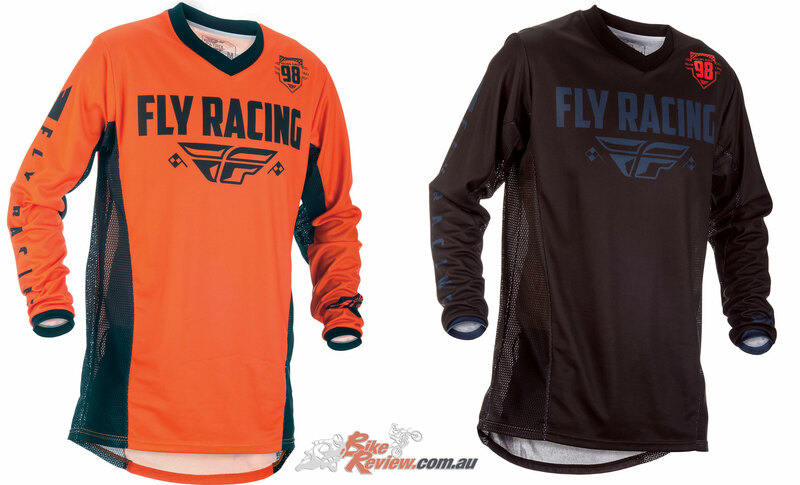 The Fly Racing Patrol Jersey is available for $59.95 RRP. The Fly Racing’s Patrol Jacket can easily be converted into a variety of configurations to provide all day comfort and performance, thanks to zip-off sleeves and a ventilated mesh liner. A rear cargo compartment is also great for storing larger items. 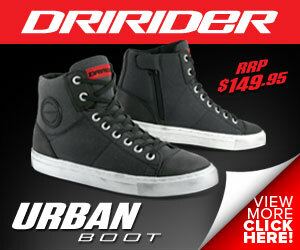 Eight strategically placed zipper vents offer ventilation, customised via the six intake vents, and two exhaust vents. Seven pockets include two upper and two lower front cargos with Velcro secured flaps, two zippered mesh lined storage pockets that double as vents, and the previously mentioned large rear cargo compartment. A neoprene stretch collar is fleece lined with adjustable shock-cord, abrasion resistance heavy-duty elbow panels, feflective tape and fluorescent orange accent panels. The zippered main entry also features a storm flap for better weather proofing. Comfort is assisted by the expandable zipper stretch-gussets that give the jacket a custom and secure fit, as well as adjustable Velcro strap cuffs and a hidden adjustable shock-cord for tightening lower-hem. 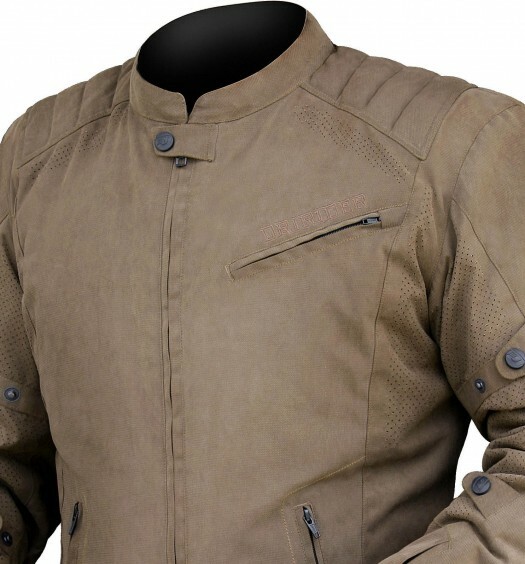 The Fly Racing Patrol Jacket is available for $249.95 RRP. 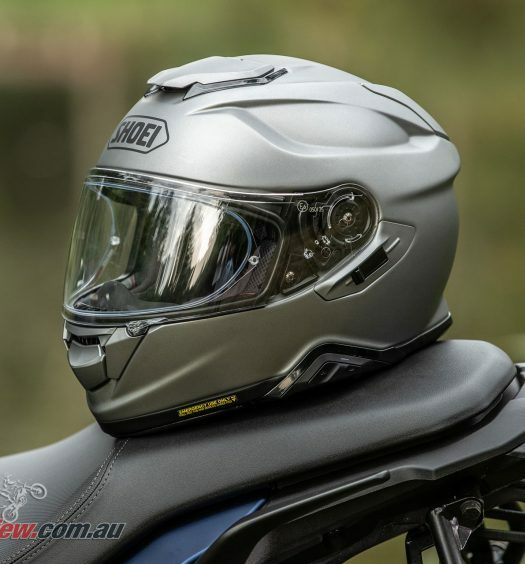 Fly Racing Patrol Off-Road Gear – Available now! Check out your local Fly Racing stockist for more information or see the McLeod Accessories website mcleodaccessories.com.au.